People collect all sorts of things. Seriously, have you done a search on eBay for collectibles lately? Rugs, clocks, silverware, baseball cards, dolls, knives, magazines…the list is extensive. I’ll admit that the Cracker Jack Tin that lovesfairies54 was selling was pretty cool but my biggest problem with collecting stuff is that you can only do so much with it. Isn’t it more fun to use the things you love instead of just looking at them behind protective plastic? And if you’re not careful, you can cross the line from collector to hoarder. Flip on any random episode of Clean House and look what happens when you cross the line…it’s not pretty. So what do I collect? There was a brief period many, many years ago when I collected stickers. Why stickers? Because my Grandmother in Michigan gave me some. My favorite was a purple, puffy heart sticker. My oddest was a strip of reflective disco tape. My days as a sticker collector didn’t last long though. It’s a short lived thrill once you actually put the sticker on something. Since then, I’ve never really actively collected anything in particular. But by the looks of things here at Bon Appetit Hon, I must confess that I’ve inadvertently become a recipe collector. I’ve got formal cookbooks. I’ve got homemade cookbooks compiled from recipes I found here and there. And I’ve still got piles of recipes that are waiting to audition for me. But unlike other collectibles, like stamps or (insert your favorite chotchkie here), recipes come alive. They may be just words on a page but when taken out and shown a bit of love, they repay your kindness by becoming something real that you can taste, touch, and feel. They can be a source of comfort or the expression of your inner desires. I’d like to see a Pokemon card do that. My collection already has two risotto recipes. So why would I need another one? For the same reason that some people have a room full of Cabbage Patch Kids; because they’re all different and I can’t imagine getting rid of a single one. 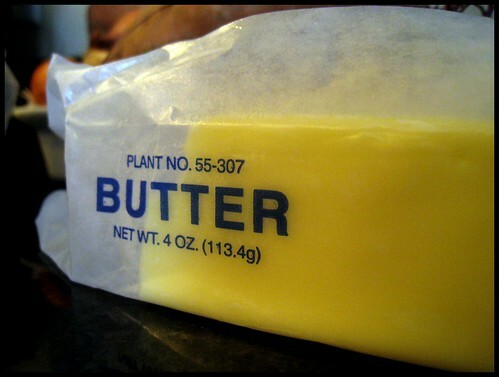 Melt 1 tablespoon butter in heavy medium saucepan over medium high heat. Add zucchini and saute until beginning to soften, about 3 minutes. Transfer to a bowl and reserve saucepan. Bring broth to a simmer in a small saucepan. Reduce heat to low and cover to keep warm. Melt remaining 2 tablespoons butter in reserved saucepan over medium low heat. Add onion and cook until tender, about 6 minutes. Add rice and stir until opaque, about 2 minutes. Add 1/2 cup broth. Adjust heat so broth simmers slowly and cook until broth is just absorbed, stirring occasionally. Continue adding broth 1/2 cup at a time until rice is just tender and creamy, stirring occasionally, about 25 minutes. Add zucchini and stir until heated through. Mix in cheese and season to taste with salt and pepper. Risotto is such a comforting fall dish. What I love most about it is that you have to pay attention to it else unhappy things start sticking to the bottom of the pot. All that attention creates a lovely dish that satisfies the heart and the belly. I have a less fussy version that I use when I don’t have the patience to stand at the stove and stir. But I completely agree that risotto satisfies both the heart and the hunger. Have you taken up space in my brain? I made risotto for lunch yesterday! And I’d NEVER made it before in my life! I don’t know how, but I believe that we are somehow sharing brain space. Quick, tell me what I’m thinking! !